Heat the honey, oil, orange zest and sultanas in a frying pan for about 1 minute. Stir in the breadcrumbs and cook for 1 minute. 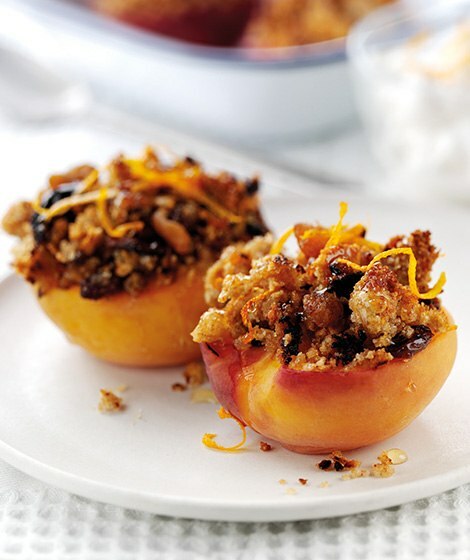 Press the crumb mixture on the cut surface of the peaches and place in a small baking dish. Serve with fat-free Greek-style yogurt or half-fat crème fraîche. Add some mixed spice or ground cinnamon for extra special flavour.